"Congratulations," said the nurse, "but don't you think this is enough?" The woman replied, "Are you kidding? 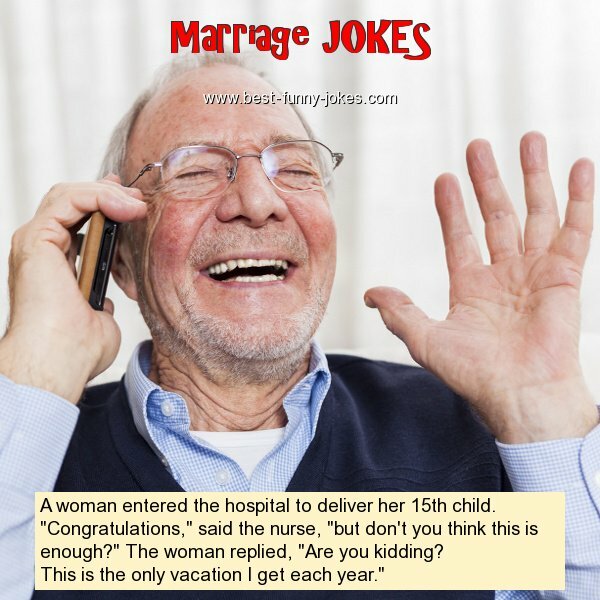 This is the only vacation I get each year."